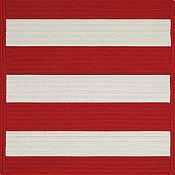 The Cabana Stripes Rug in Red from Capel is an indoor or outdoor rug made of 100% polypropylene. 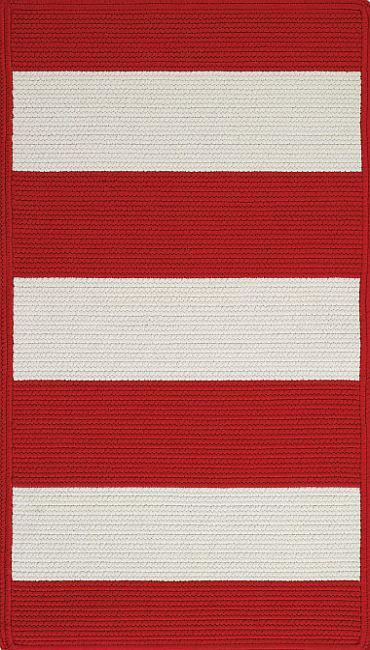 These rugs are perfect for verandas, porches, or any busy area of the house. Spills wipe away with a damp cloth and warm water. These all weather outdoor rugs are perfect for porches and patios thanks to a water, mold, and mildew resistant construction. Our beautiful outdoor rugs can be used in any area indoors or outside. This rug measures 4ft x 6ft. Made in the USA.